존경하는 박철 총장, 정현백 교수, 바스 주한 독일대사, 맥도날드 주한 EU 대사, 호펜슈테트 빌리브란트재단 사무총장, 노명환 교수, 그리고 교수, 학생, 내빈 여러분! 오늘 제가 여러분 앞에서 ‘빌리 브란트와 나, 동방정책과 햇볕정책’을 주제로 몇 말씀드리게 된 것을 큰 영광으로 생각합니다. 빌리 브란트 수상은 20세기 우리 시대가 낳은 가장 위대한 인물 중의 한 분이었습니다. 인류 역사에 대한 심오한 철학, 자유를 지키기 위한 용감한 투쟁, 적대관계에 있는 동족과의 화해, 대담한 정책적 결단과 뛰어난 실천력, 그리고 따뜻한 인류애와 정의감을 가진 사람이었습니다. 우리는 우리 시대에 이러한 위대한 인물을 갖게 된 것을 단순히 그 조국인 독일만의 영광이 아니라 전세계의 행운이자 자랑이라고 생각합니다. 빌리 브란트 수상과 저는 서로 진심으로 존경하고 이해하는 친구였습니다. 우리 두 사람은 모두 독재와 싸웠고, 공산주의와 싸웠고, 분단과 싸웠습니다. 그리고 민주주의에 대한 철저한 신봉과 정의에 대한 열정에 있어서 서로 같았습니다. 무엇보다도 분단된 민족의 통일을 위한 신념과 열정을 함께하는 가운데 서로의 신뢰와 우정은 깊어갔습니다. 저는 1971년 대통령 선거에 출마했을 때, 미국을 방문하여 워싱턴 내셔널프레스클럽에서 기자회견을 했는데, 그 자리에서 ‘빌리 브란트 수상의 동방정책을 지지하고 공감한다’는 말을 했습니다. 그리고 저는 대통령 선거 기간 중 남북간의 화해와 협력의 ‘햇볕정책’을 주장했습니다. 그 당시는 냉전이 극심했던 때로 저의 ‘햇볕정책’은 군사정권에 의해 용공으로 몰려 많은 시련을 겪어야 했습니다. 1980년 제가 군사정권에 의해서 사형선고를 받았을 때, 빌리 브란트 수상은 한국의 군사정권 지도자 전두환 장군에게 친서를 보내서 강력히 항의하고 사형선고 취소를 요구했습니다. 1983년 제가 미국에 망명중일 때 빌리 브란트 전수상은 저를 독일로 초청했습니다. 그러나 군사정권의 여권발급 거부로 저의 독일방문은 이루어지지 못했습니다. 1987년 브란트 수상과 전체 사민당 의원들은 저를 노벨평화상 후보로 추천해 주었습니다. 1989년 10월 26일 저는 브란트 수상을 한국에 초청하여 만찬연을 베풀었습니다. 그런데 바로 그때 베를린 장벽이 무너지고 있다는 소식이 만찬장에 전해졌습니다. 브란트 수상께서는 예상 외의 빠른 사태에 당혹해 하면서 바로 귀국 길에 올랐습니다. 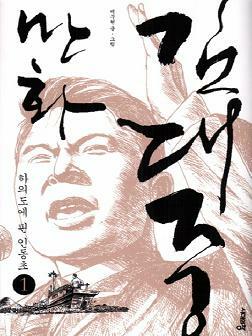 1991년 10월 저는 독일을 방문하여 빌리 브란트 수상을 그의 집무실에서 만났습니다. 우리는 세계의 현실에 대한 의견과 미래에 대한 전망 등에 대해서 대화를 나누었습니다. 그리고 무엇보다도 독일 통일로부터 한국이 무엇을 배울 것인가에 대해 논의를 집중했습니다. 빌리 브란트 수상은 저에게 ‘우리는 동독으로부터 일어난 불의의 사태로 인해서 조속한 흡수통일을 했지만 한국은 반드시 평화적이고 점진적인 통일을 추진하시오’라고 충고해 주었습니다. 그리고 ‘지금 독일은 베를린 장벽은 무너졌지만 마음의 장벽은 무너지지 않았다’며 엄청난 후유증에 대해서 말했습니다. 1992년 10월 브란트 수상이 서거했을 때 저는 아내와 자식을 독일에 보내 장례식에 참석하게 했습니다. 당시 저도 장례식에 참석하고 싶었지만 14대 대통령 선거로 시간을 낼 수 없었습니다. 1993년 2월 제가 베를린을 방문했을 때 브란트 수상의 묘소를 참배했습니다. 저는 그 자리에서 다시 한 번 제 생애에 두터운 우정을 나누었던 위대한 친구를 회상하며 명복을 빌었습니다. 지금도 간혹 브란트 수상을 생각하면 그리운 심정이 사무칩니다. ‘동방정책’과 ‘햇볕정책’은 그 철학이나 정책, 실천방법에 있어서 상통하는 점이 많습니다. 첫째, 두 정책 모두 민족의 영원한 분단을 거부하고 반드시 통일을 이룩하자, 그 통일은 무력이나 강제에 의한 것이 아니라 평화적이고 단계적인 것이어야 한다는 것입니다. 둘째, 브란트 수상은 오랜 ‘할슈타인 원칙’을 폐지하고 동독과의 교류 협력에 주력하는 현실적인 정책을 추진했습니다. 그리고 서독은 20년 동안 매년 평균 32억불씩, 총 600억불의 거액을 동독에 지원하고, 동서독간의 교류를 왕성하게 했습니다. 그리하여 동독인의 민심이 크게 동요했습니다. 그 동안 공산독재 치하에서 동독은 낙원이요, 서독은 지옥이라는 식으로 세뇌를 받아온 그들은 서독의 지원과 활발해진 동서독 간의 왕래를 통해서 서독이야 말로 낙원이요, 동독은 지옥에 불과하다는 것을 알게 되었습니다. 이것이 동독 내부에서의 민심의 동요와 폭발이 일어나게 하여 동독인이 자진해서 서독에 의한 흡수통일을 요구하게 되었던 것입니다. 셋째, 한국에서도 규모와 기간은 짧지만 ‘햇볕정책’을 통해서 독일의 ‘동방정책’과 유사한 정책을 추진해서 짧은 기간 내에 북한의 민심과 사회에 많은 영향을 주었습니다. ‘햇볕정책’은 태양이 동서남북 고르게 따뜻한 햇볕을 보내듯이 남북한 양쪽도 냉전의 강풍을 잠재우고 평화공존, 평화교류, 평화통일의 공동승리의 성과를 발전을 이룩하자는 것입니다. 남북은 2000년 6.15 남북정상회담을 통해서 민족의 운명을 자주적으로 해결할 것과 통일은 점진적으로 추진할 것을 합의했습니다. 그리고 남북간 교류 협력을 모든 분야에서 왕성히 할 것을 합의했습니다. 제가 2000년에 북한을 방문해서 남북정상회담을 한 이래 남한은 북한에 식량, 비료, 의약품 등 매년 1억 5천만불 정도를 지원해 주었습니다. 이러한 우리의 지원은 그동안 남쪽에 대한 악의적인 선전만 들어온 북한 사람들을 동요시켰습니다. ‘남쪽이 잘 살지 않느냐. 우리에 대해서 동포애를 갖고 있지 않느냐. 우리도 남쪽처럼 잘 살았으면 좋겠다. 통일이 빨리 되면 좋겠다.’ 이러한 심정을 갖게 했습니다. 그리고 이러한 심리적 변화는 문화적 변화까지 가져왔습니다. 북한에서 남한의 대중가요를 부르고, 남한의 TV 드라마, 영화 등을 비공식적으로 보는 사태가 광범위하게 벌어졌습니다. 마치 서독이 ‘동방정책’을 통해서 동독 사람들의 마음에 변화를 가져왔듯이, 우리도 ‘햇볕정책’을 통해 북한 사람들의 마음의 변화와 우정을 얻기 시작했습니다. 그리고 상당한 규모의 경제협력과 문화․체육 교류 등이 이루어졌던 것입니다. 이러한 상황에서 국민은 긴장완화 속에 평화를 누렸고, 한반도의 냉전시대는 영원히 끝나는 것 같이 보였습니다. 그러나 현 정부가 출범한 이래 남북관계는 급속히 경색되고 날로 악화되고 있습니다. 이러한 현실을 보고 많은 사람들이 큰 우려를 금치 못하고 있습니다. 그러나 저는 이것은 일시적인 현상이라고 믿습니다. 남과 북 모두가 대결하고 다투면 서로 손해를 보고 위험에 처하게 되지만, 화해 협력하면 모두 안정과 번영을 이룰 수 있기 때문입니다. 그리고 우리 국민들도 지난 2000년도 이래 이룩된 남북간의 화해 협력의 시대를 다시 회복하고자 강력히 바라고 있습니다. 저는 ‘동방정책’이 동서독간의 평화와 우호 협력을 증진시켜 마침내 평화적 통일을 이룩하게 했듯이 우리나라에서도 ‘햇볕정책’이 다시 힘을 얻어서 한반도 평화와 남북의 공동번영이 이룩될 날이 머지않아 올 것이라고 확신하고 있습니다. 그것은 남북 7천만 민족이 다 함께 열망하는 길이기 때문입니다. 지금까지의 말씀으로 독일과 한국은 얼마나 같은 운명의 길을 걸어왔고, ‘동방정책’과 ‘햇볕정책’은 얼마나 큰 상통점이 있는지 알 수 있었습니다. ‘동방정책’은 한발 앞서 성공했습니다. 이제는 ‘햇볕정책’이 성공할 차례입니다. 먼저 성공한 독일은 우리의 ‘햇볕정책’이 성공하도록 많은 지원을 주실 것을 바라마지 않습니다. 그리고 국민 여러분도 다시는 민족이 피를 흘리고 싸우거나 적개심 속에서 증오하고 대결하는 시대가 와서는 안 된다는 자각 속에 우리의 유일한 대안이자 성공한 ‘동방정책’과도 상통하는 ‘햇볕정책’을 적극 지지해 주시기 바랍니다. 마지막으로 빌리 브란트 수상을 다시 한 번 다 같이 추모하면서 한독 양국이 더 한 층의 우호협력 관계를 증진시킬 것을 바라마지 않습니다. Respected President Park Chul, professor Jung Hyun-baek, German Ambassador to Korea Norbert Baas, EU Ambassador to Korea Brian Mcdonald, Secretary General of the Willy Brandt Foundation Hoppenstedt, professor Noh Myung-hoan, faculties, students, and distinguished guests! It is truly an honor to stand here, and deliver a speech on the topic of “Willy Brandt and I, the Ostpolitik and the Sunshine Policy. Chancellor Willy Brandt was one of the greatest figures of the 20th century. He had profound understanding of the human history and tremendous courage to fight for freedom. He was a man of a golden heart and action power leading reconciliation with the brethrens at odds. He also had political decisiveness and boldness as well as deep love for humanity and a strong sense of justice. Not only Germany, but the whole world is lucky and proud of having such a great person in our times. Chancellor Brandt and I were good friends who understood and respected each other wholeheartedly. Both of us fought against dictatorship, communism, and division of home countries. And we shared unshakeable faith in democracy and justice. Most of all, our trust and friendship grew tightly while we took the road toward reunification of divided countries with unfailing faith and innocent enthusiasm. When I ran for Presidency in 1971, I visited America and had a press conference at the National Press Club in Washington DC. At that time, I said to journalists, “I consent and support the Ostpolitik of Chancellor Brandt.” During the presidential campaign, I advocated the Sunshine Policy for inter-Korean reconciliation and cooperation. Because it was at the height of the Cold War, I was denounced as a communist sympathizer by the military government and had to go through a lot of hardships. In 1980 when I received the death sentence under the military government, Chancellor Brandt wrote a letter in protest to General Chun Doo-hwan, the head of the military government, and asked him to the death sentence. In 1983 when I was in exile in America, Chancellor Brandt invited me to Germany. But I couldn’t go because the military government did not issue a passport for me. In 1987, Chancellor Brandt and the rest of congressmen belonging to the Social Democratic Party nominated me as a candidate for the Nobel Peace Prize. On October 26, 1989, I invited him to Korea and we had dinner together. Coincidently, we got the news that the Berlin Wall collapsed. Embarrassed by the unexpected situation, Chancellor Brandt quickly had to fly back to his country. When Chancellor Brandt passed away in October 1992, my wife and sons attended the funeral for me. I wished I could go, but couldn’t take time due to the election campaign for 14th Korean presidency. Later in February 1993, I visited Berlin and paid a tribute at his resting place. Standing before his grave, I recollected a great friend whom I shared deep friendship throughout lifetime and prayed for the repose of the soul of Chancellor Brandt. I still think of him these days, and feel an irresistible yearning for my great friend. The Ostpolitik and the Sunshine Policy have many things in common in terms of philosophy, policies, and implementation. First, both ideas preach unification, never endorsing permanent division of respective peoples. Unification should come only in a peaceful and phased manner, not through armed or violent force. Second, Chancellor Brandt scrapped the long-standing “Hallstein doctrine” and implemented a practical policy with focus on exchanges and cooperation with East Germany. Over two decades, the West supported the East with 16 billion dollars in total, which is annualized at 3.2 billion dollars on average, and boosted the inter-German exchanges. As a result, the sentiment of the East Germans began to change. Thus far, they had been brainwashed to believe that East Germany was paradise, while West Germany was hell. Thanks to the Western support and activated inter-German exchanges, they came to dawn on the very reality as opposed to what they had been told. This change in thinking and enlightenment ignited restlessness among people and implosion from within. Eventually East Germans rose to voluntarily call for unification even through absorption by the West. Third, Korea also had an experience of implementing the Ostpolitik in a Korean style, which is the Sunshine Policy, for a short period of time and in a rather small scale. But it did prove significant impact on North Koreans’ sentiment and the society. Just like the Sun generously gives out warmth to every direction, the Sunshine Policy intended to let the strong wind of the Cold war die down, and pave the way for shared victory and development based on peaceful coexistence, peaceful exchanges, and peaceful unification. This psychological change brought cultural change. North Koreans enjoyed South Korean popular songs, TV dramas, and films in unofficial channels. As we witnessed in West Germany that brought changes to the minds of East Germans, we also won changes in the minds of North Koreans and brotherly friendship with them. Economic cooperation and cultural and sports exchanges took place in a considerable scale. In this renewed state of stability, the end looked near for the era of the Cold war in the Korean peninsula for good. But with the launch of the new government, the inter-Korean relations went sour very quickly and is going from bad to worse. Many people watching this reality express grave concerns. But I believe that the situation will not last long as it is. When the South and the North are dragged into confrontation and fighting, they will stand to incur a loss. When they reconcile and cooperate, all will enjoy stability and prosperity. Moreover all Koreans strongly aspire to recover inter-Korean reconciliation and cooperation that they experienced in the wake of the historic 2000 inter-Korean summit. Just like the Ostpolitik enhanced inter-German peace and cooperation eventually resulting in peaceful unification, the Korean Sunshine Policy will regain its strength and contribute to peace-building in the Korean peninsula and laying foundation for co-prosperity of both Koreas very soon. That is because it is the way the whole 70 million Koreans want to take. So far, I have talked about how similar paths and destiny Germany and Korea have shared and what commonalities the Ostpolitik and the Sunshine Policy have. The Ostpolitik succeeded in history earlier. Now it is time for the Sunshine Policy. I wish that Germany which has already succeeded in achieving its intended purpose do not spare any support for Korea to be successful with the Sunshine Policy. I believe that Korean people should hold us firmly with thinking that we should never allow bloody confrontation and hatred to set in within ourselves. And I would like to ask all Koreans to give their full support to the Sunshine Policy, which is the only option available and aligned with the proven Ostpolitik. Last but not least, let us pay a tribute to Chancellor Brandt once again, and wish that Germany and Korea can further enhance our friendly and cooperative relationship.